In this revolutionary and highly readable book, Thérèse Bertherat and Carol Bernstein shatter myths about traditional exercise and health. 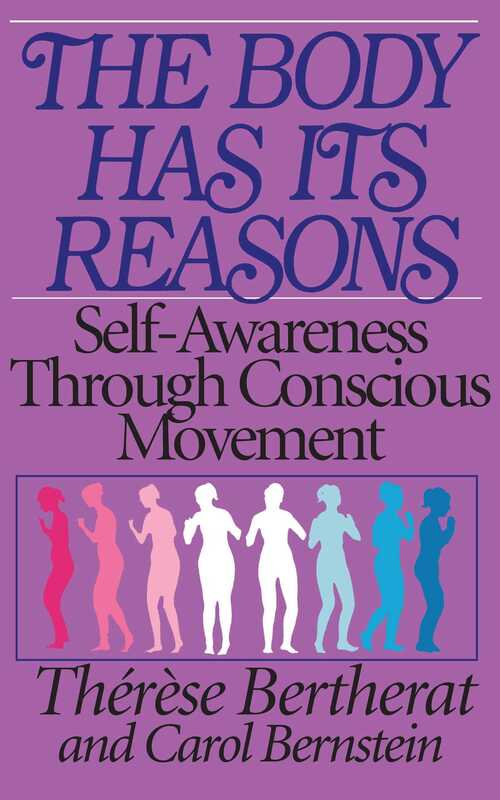 They introduce movement that is based on a profound selfawareness, freeing us from our limiting attitudes about ourselves and our bodies. Strangers to our own bodies, many of us spend our adult lives suffering from tensions and chronic aches and pains--problems that have no apparent genesis or solution. In repeating habitual patterns of movement, we ignore the range of possibilities available to us, so that the body suppresses and eventually forgets its natural grace and integration. Employing traditional exercises to alleviate the symptoms of a round stomach, a bad back, and muscles that ache after sports, we often force the body to act against itself and perpetuate our discomfort. A physical therapist and teacher of movement in Europe, Bertherat takes the reader through a series of precise, gentle, organic movements. These “anti-exercises” develop the body’s range and freedom of movement, releasing constraints and reawakening dormant muscles. By using the appropriate energy for each gesture, they bring relief from a multitude of ills, at the same time awakening the senses and sharpening perceptions. The Body Has Its Reasons offers a realistic alternative to conventional body work that can help you become more efficient, creative, and self-confident. It can increase your intellectual capacity as well as your athletic ability and free you of sexual problems, including frigidity and impotence. No matter what your age, the information in these pages can help you release the beautiful and well-made individual that you were meant to be.